Best Dart Cases & Wallets of 2019: Do NOT Buy Before Reading This! What to Know When Buying a Dart Case? 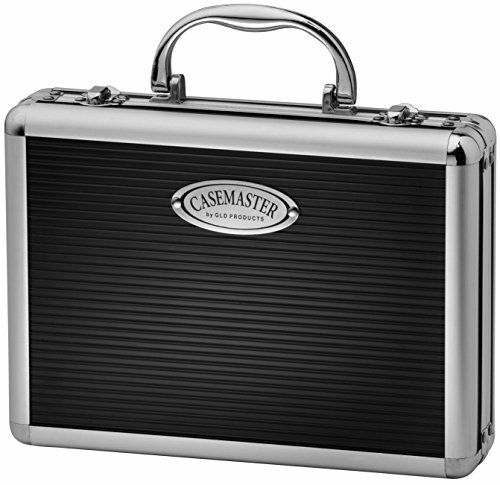 Casemaster is a leading name in the dart case industry. Their Legion 9 model is an ideal product for anyone who travels often and carries a lot of equipment. 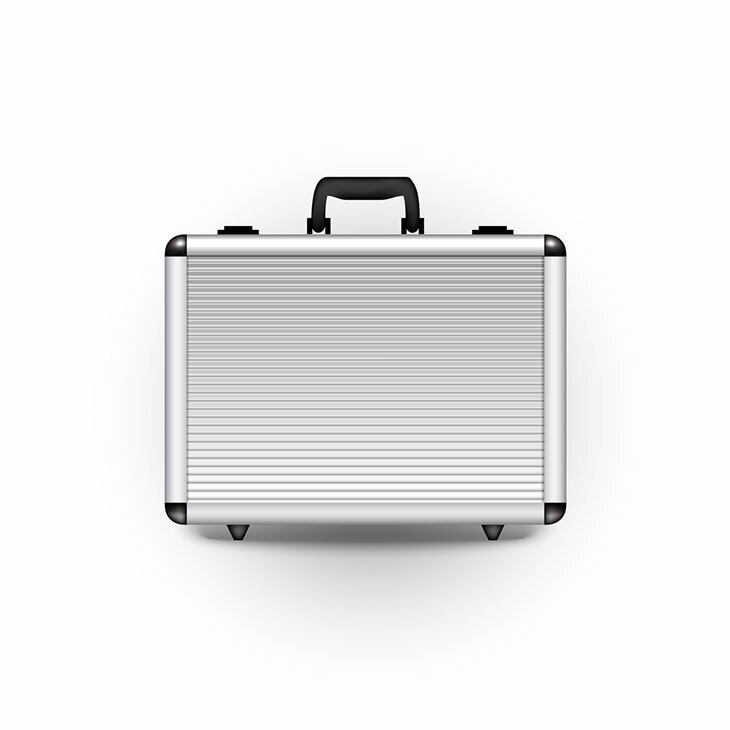 This is a hard case made of aluminum. It can store 3 sets of darts (9 darts total) in its cushion-lined interior and has 12 pockets for packing flights and/or accessories. It also contains 10 mini-sleeves and 2 accessory tubes for other gear. Some of these additional spaces are rather tight and cannot fit certain pieces of gear, which might bother some players. Legion 9 has a sleek exterior as well as a handle which makes it resemble a small briefcase, perfect for those on the move, given that they do not mind its bulkiness. Double buckle locks make sure that the case stays closed until it’s time to open it. Another benefit of this product is its price, which is more than affordable for most people. 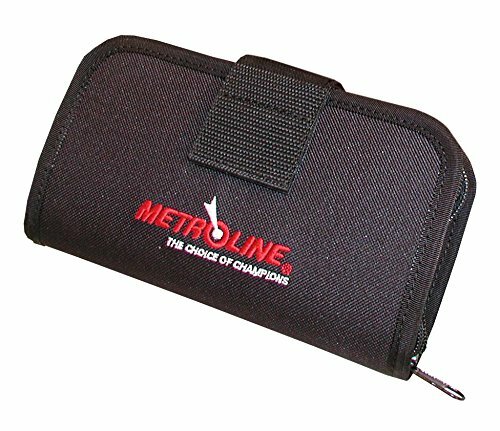 Metroline is another famous name in the dart playing world, and their cases do not disappoint. Unlike the previously reviewed model, this one is a soft case, made of a combination of fabric and nylon. This, of course, doesn’t mean that this is not safe enough, as it is rather sturdy and will protect its contents from most external factors. 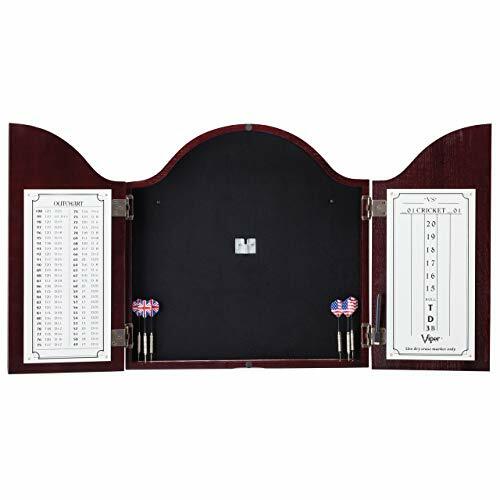 The Double Deluxe dart case, as the name implies, is able to fit 2 sets of darts. 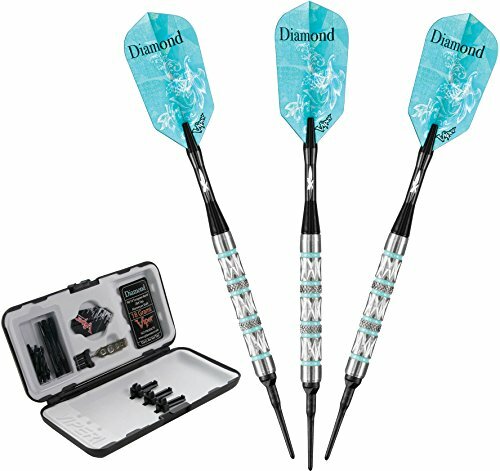 The darts are held in place by heavy-duty plastic holders, and the entire case is secured with a zipper and a velcro strap. Besides this, there is only one velcro storage pocket inside the bag, so you won’t be able to fit a lot of accessories in there. 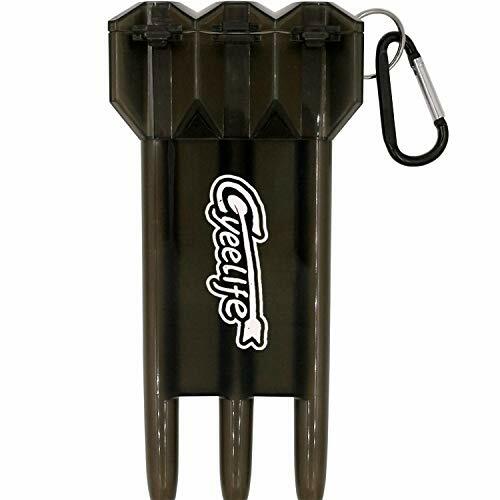 The case is small and lightweight which is great for folks who need to carry the darts from home to the bar and back. One setback of Metroline’s product is that it’s relatively expensive compared to other cases. Those who like the first product on this list but do not require so much storage space should definitely take a look at this one. Elite Jr. 6 is the younger brother of Legion 9. It is made from fabric and nylon materials, and it is opened and closed with a zipper. 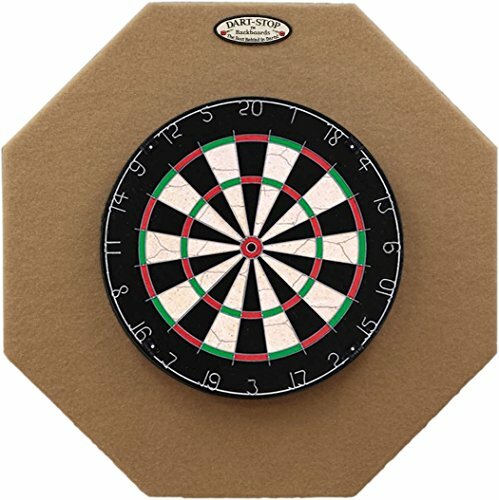 The case contains foam inserts on the inside to keep the darts protected, the foam becomes softer over time, which is a problem. 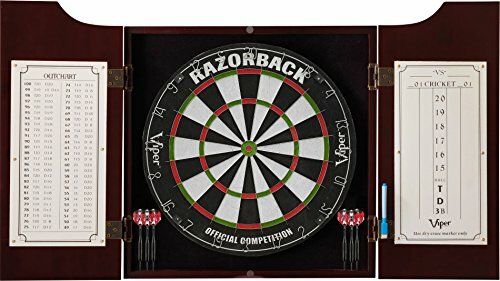 Speaking of darts, this case can hold 2 sets. Besides this, it has 6 pockets for flights and 2 storage tubes that can hold shafts or other, minor elements. Elite Jr. 6 is great for both traveling players as well as home dwellers, as it is moisture-wicking and provides a lot of security to the equipment inside of it. Its price is a bit higher than that of Legion 9 but lower than Metroline’s, so it’s somewhere in the middle. Also, the company offers a 90-day limited warranty. If style is one of your main concerns, then take a look at Harrows Z880. It is an attractive-looking, blue, fabric/nylon case that resembles a wallet at first glance. Like most soft models, it doesn’t seem very secure, but this is a misconception. The case can hold 2 sets (6 pieces) of assembled darts and contains 2 big pockets for additional gear. If you use very large flights, you might have to remove them before closing the case. The darts are kept in place by a band, but be careful not to scratch it when taking the darts out and putting them back in, as the material might fray. A neat feature of Z800 is the carabiner clip which allows you to attach the case to your belt loop, and carry it around in this manner. Regarding price, this product falls into mid-range, and I assure you that it is well worth the money. Last but not least, here is a little plastic case that comes to us from Cyeelife. Players who like to carry around only one set of darts will probably take a liking to this one. However, there is no room for any additional equipment which most players still require. This case consists of three plastic, dart-shaped molds that will allow the player to pack fully-assembled darts. 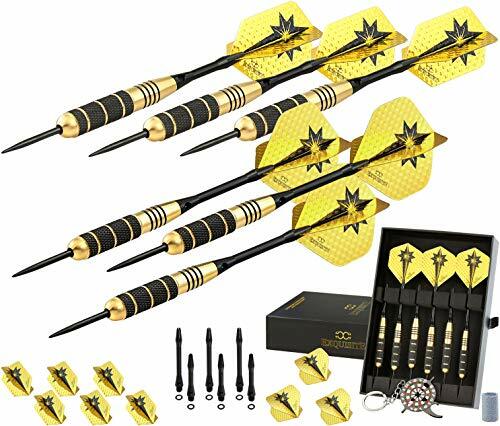 The trouble with this design is that it cannot fit darts of all sizes, and the manufacturer recommends using it for those shorter than 5.9 inches. Same as the previous product in this list, the Cyeelife case also has a small clip which can be used to attach it to your belt loop. Another cool thing about this product is that it comes in 9 different colors including black, blue, green, orange, pink, purple, red, slate blue, and yellow. Its price is a bargain as it costs more than three times less than some of the other cases from today’s reviews. Tiga is a brand hailing from Japan. 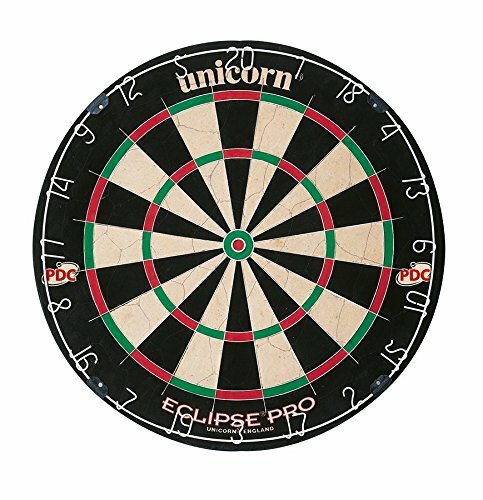 It is a famous name in the dart playing world, and their cases do not disappoint. Unlike the previously reviewed model, this one is a soft case, made of a carbon looking fabric. The Smart dart case can hold only one set of darts which are held in place by elastic bands attached to a flap. 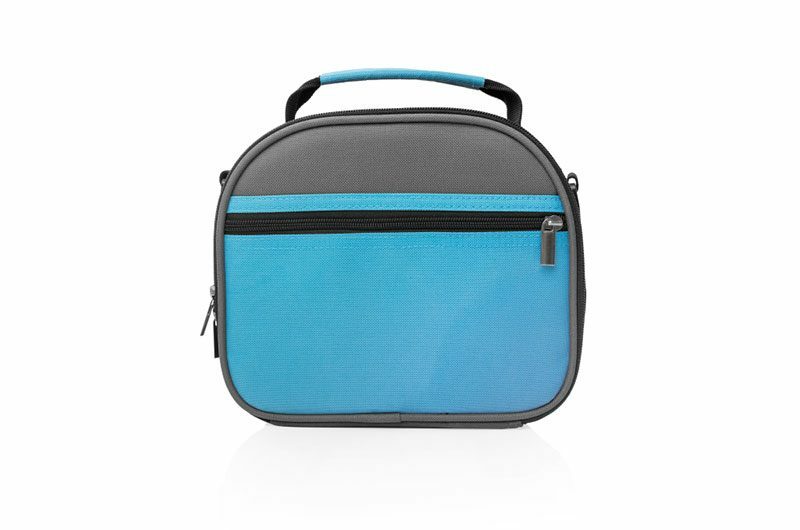 The entire case is secured with a zipper, and there is a wrist strap for easy carrying. Besides this, there is only one storage pocket inside the bag, so you won’t be able to fit a lot of accessories in there. Tiga’s case comes in four different colors - red, blue, black, and metallic grey. Its price is very close to that of the previous item on the list, which I feel is appropriate. Before spending your hard earned money on a case, there are a few essential factors that you need to consider. In case you didn’t know, not all cases are made equal, as they differ in terms of size, material, and many other features. In the following sections, I’ll be breaking down the most important characteristics of dart cases so that you can easily choose a model suitable for your specific needs. The material of a dart case is by its most important feature as it determines the safety level as well as the function of the case. Hard, made from plastic or metal. Hard cases are the ideal option for a traveling player as they will protect the equipment from any kind of damage. Soft cases are lighter than hard ones, and while they don’t provide as much protection, they are less bulky. These cases tend to be more expensive than the nylon/fabric and plastic ones. Their usual construction includes a hard exterior and a soft, cushioned interior. 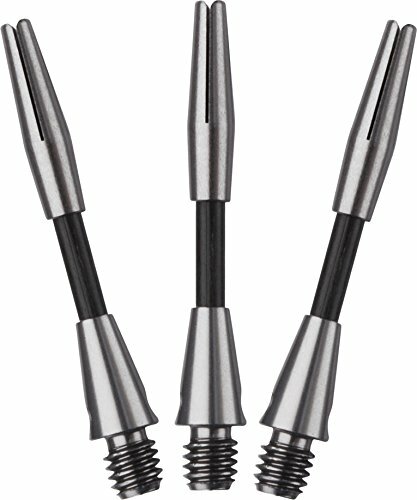 They will provide you with a peace of mind knowing that your darts are well protected from any external influences. Many metal cases can even be locked for additional security. Besides being (usually) cheaper than the metal models, fabric/nylon cases also provide their users with added portability and compactness. 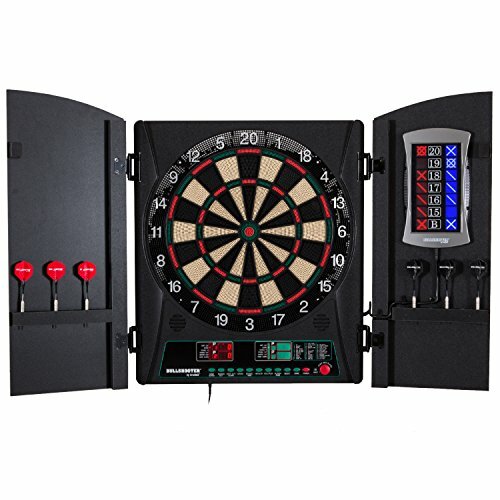 Even though they do not have the rigid structure of metal cases, these products will still enable you to transport the darts safely and in an organized manner. 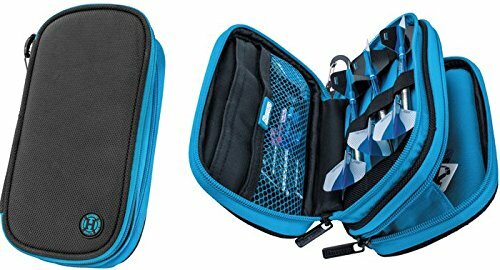 More often than not, soft cases include a lot of additional pockets and velcro straps which can be very useful. 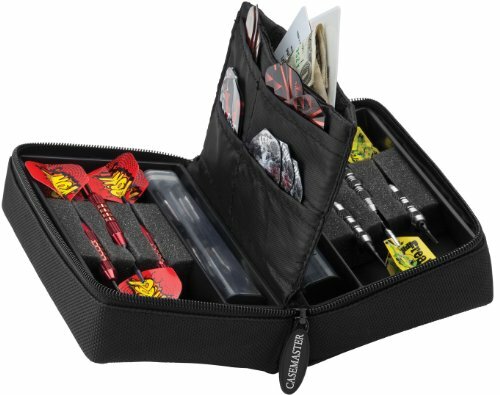 Plastic dart cases are by far the most affordable option for storing darts. They are also the least secure type of case, but hey - you get what you pay for. These cases will still do the job of transporting the darts from point A to point B, just make sure not to leave it where it’s prone to physical damage. After material, size is the next thing that you need to consider. How many darts do you wish to store? Do you need spare parts or accessories? To answer these questions, first, you need to determine what kind of player you are. 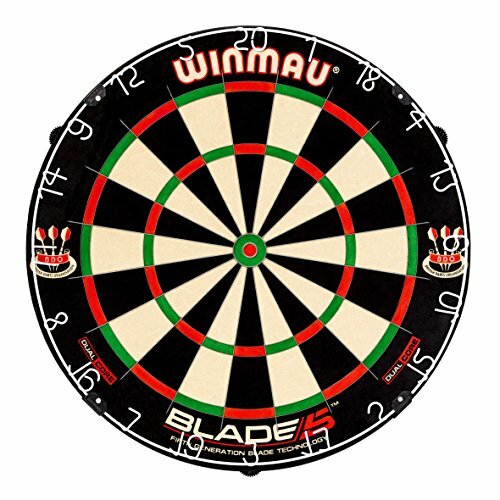 Firstly, some people play with only one set of darts, so they’d probably be well off with a compact, 3 dart case. Secondly, others, usually more experienced players, tend to carry more than one set of darts, and those folks will want a larger case. Lastly, the more professional type like to bring extra flights or shafts will need a case with additional pockets and sleeves for these spare parts. The last thing to think about is what you need the case for. 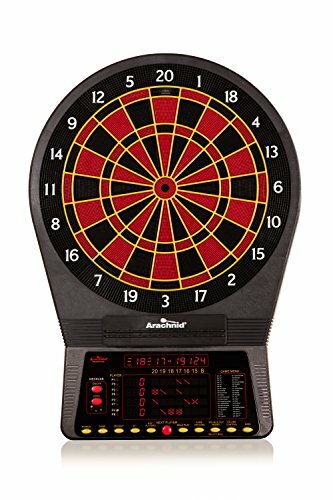 Are you a dart enthusiast who just wants to keep his/ her equipment organized and secure, or a competitive player who plays with several sets of darts? 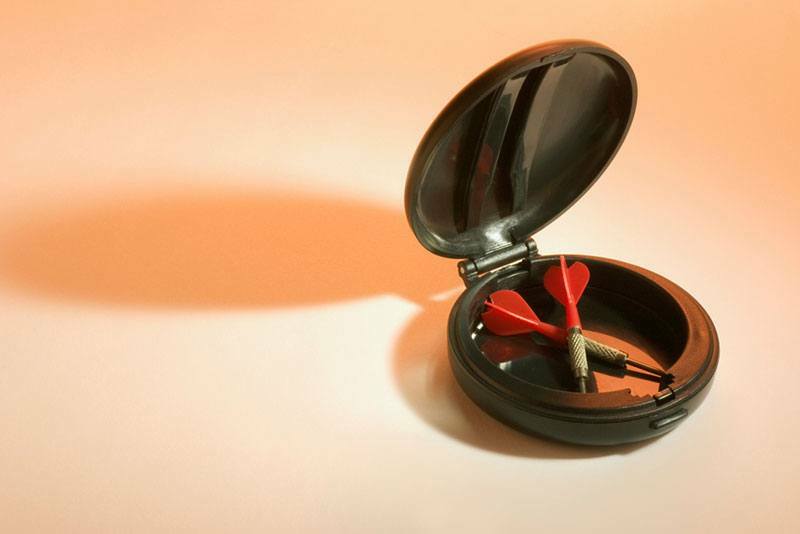 Will you be transporting your darts frequently between places, or do you simply need to store them in your house? Once you’ve contemplated these questions, take a look at the sections below. Taking part in darts competitions means traveling, sometimes to different countries or even continents. 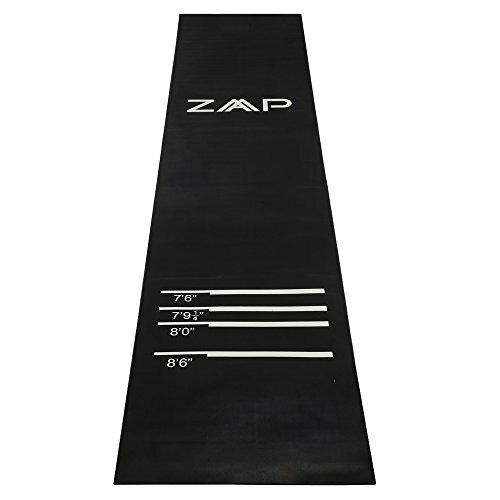 This creates a need for safe transport of your precious equipment and the accessories that go with it. Hard metal cases are probably the best thing for the job. Not only do they look sleek and professional, but they’re also water/dirt repelling, and some can even be locked. If you’re buying a case to store your darts at home, then you won’t have to worry about its size or level of security so much. Since you won’t be carrying it around, a larger case is acceptable. Also, you can settle for fabric/nylon or plastic model as they are cheaper than metal ones, but will still give you the ability to organize your equipment and keep it protected. Slowly but surely, I’ve reached the end of this article, and now it’s time to declare the winner of today’s roundup. My personal favorite is the Casemaster Legion 9 Dart Case. It’s sturdy aluminum construction, and cushioned interior will keep your darts protected in all situations, and its price is more than acceptable. All in all, I’d use it when traveling as well as for home storage. 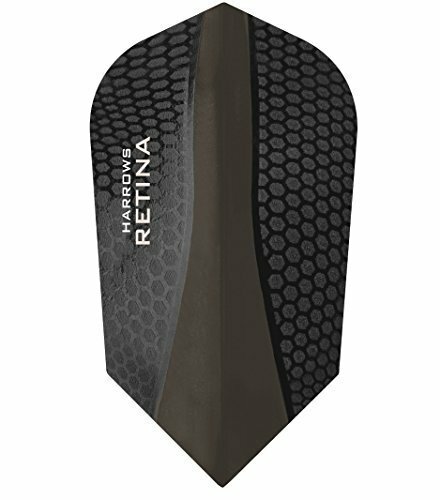 What do you think about these dart cases? Let me know in the comments below!